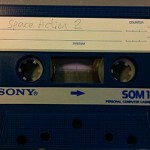 A short entry for a recent discovery by Genesis Project in the shape of a sequel to a very early C64 game called Space Action. 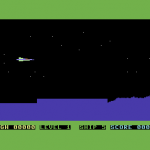 The game was released in Sweden by Handic Software and was fairly well recieved. 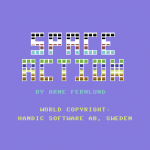 The coder, Arne Fernlund, produced a platformer sequel which was released – but actually had planned to do a proper Space Action 2 sequel. This was discovered by a chap called Spelpappan, who helped to recover the game and wrote a blog entry over at his Swedish games blog. GP got hold of the game and did some quick tidy ups to release the title and get it fully preserved. 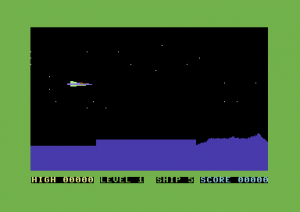 The game is at a very early stage, and just has the main ship flying over a nice mountain background. There are no enemies at this stage. Handic were not informed about the sequel, and it seems that Arne just got bored with it and moved onto other projects. But here it is, fully preserved!